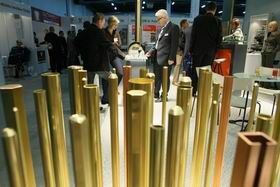 The consecutive edition of the “Targi Kielce Industrial Autumn” culminates in success. The 15th edition of the International Fair of Aluminium & Technology, Materials and Non-Ferrous Metal Products ALUMINUM & NONFERMET - an inherent part of the “Targi Kielce Industrial Autumn” goes down in history. This year's edition of ALUMINUM & NONFERMET, METAL, RECYCLING complemented with the debut HEAT TREATMENT EXPO proved to be record-breaking one. About 300 exhibitors and co-exhibitors from 29 countries presented their offerings on nearly 10,000 m2 of the exhibition space. The expos were held from 25 to 27 September 2018 in Kielce. 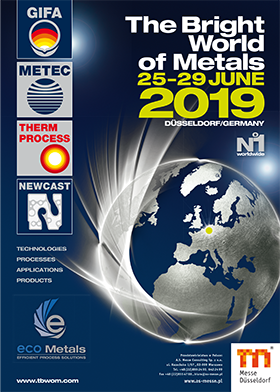 The ALUMINIUM & NONFERMET 2018 was the showcase for companies which put on display new technologies, modern machinery and equipment used in non-ferrous metals industry, as well as raw materials, components and materials used in metallurgical processes. The presentation did not fall short of companies which are into die casting of aluminium and zinc alloys. Companies associated with aluminium processing constituted the largest group of exhibitors.